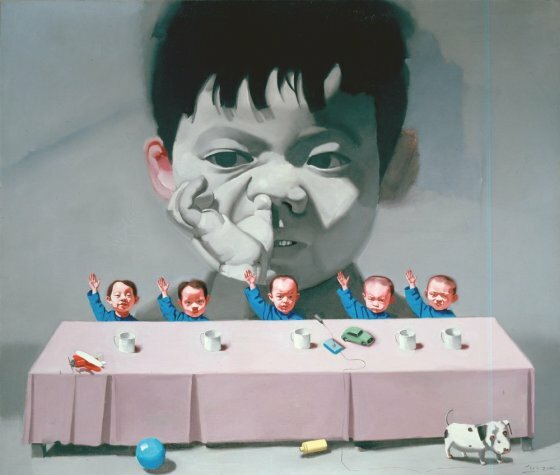 Having grown up in a military family and served in the Vietnam War, Tang Zhigang has had a longstanding relationship with the military. Tang Zhigang rose up the ranks to be in charge of propaganda art at the Political Department in the Chinese army for nearly a decade. He was responsible for preparing the setting for gatherings, writing slogans, producing photography as well as the art education of the children in the army. His experiences are obvious contexts of his works, the most readily recognised of which is his series Children in Meeting. 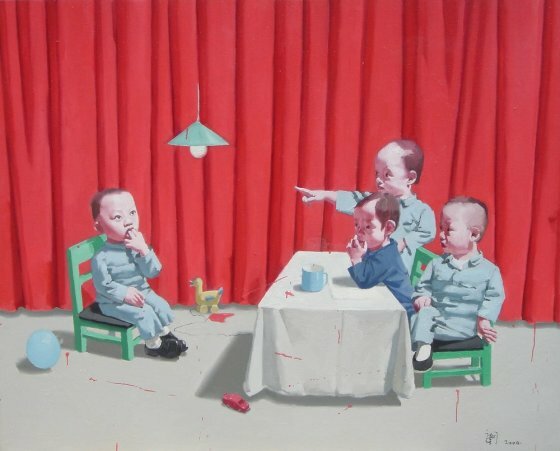 The series involves children sitting around meeting tables and conducting business, finance, or governance in an official manner, thereby politically charging his work as well as delving into the exploration of human nature. 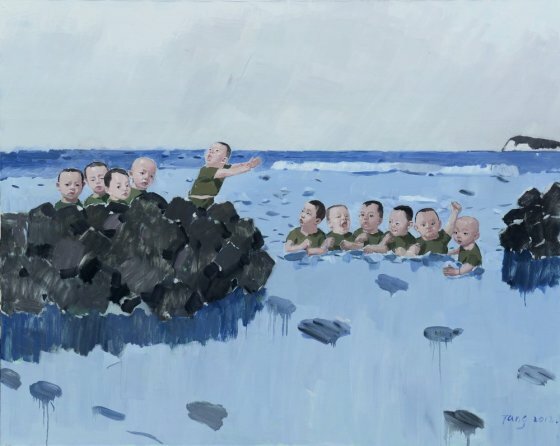 With a witty and humorous language, he has created the advanced ideas of a new generation of traditional military paintings and captured the absurdity of the bureaucracy of institutional life in the most charming manner. The artist believes that art history is being made outside of economic and cultural development, thus he continues to create for the sake of creating.